What a day! 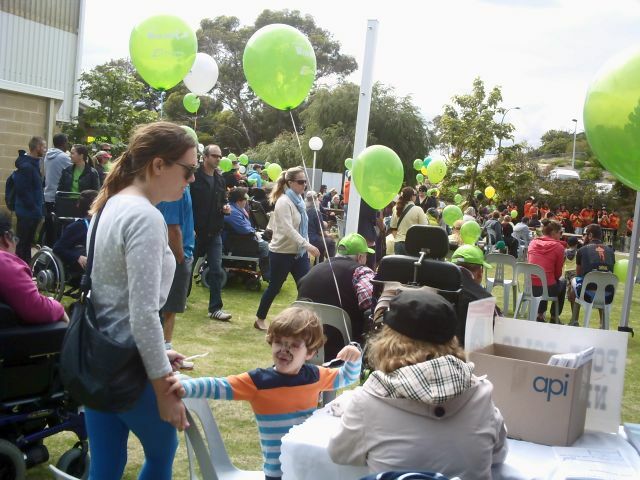 Rocky Bay gardens were transformed into a family friendly fair on 31st August. The band was playing, there were tables with colorful items to purchase, raffle prizes displayed, sausages and onions on the barbecues, cakes and slices on platters, and face-painting artists keen to transform faces into your request. A hands on animal corner where a snake was draped around children’s necks or stroked by adults, an owl, several goannas and a dingo created more excitement. 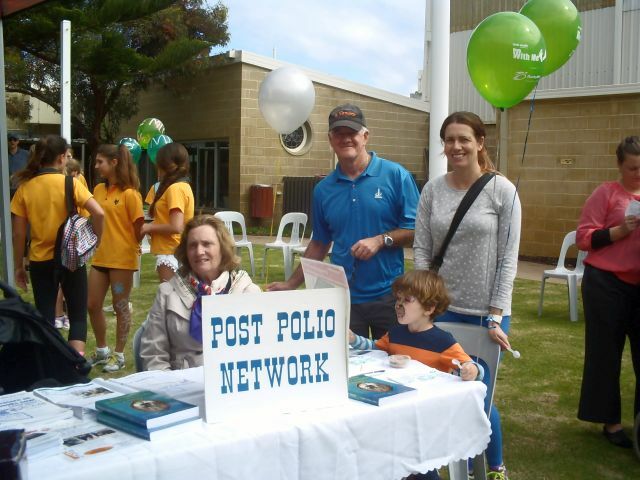 We had several walkers represent Polio Australia and Polio WA and a table was set up by Jenny Jones and Tessa Jupp to advertise both organisations. The walkers appeared enthusiastic and keen to walk the course and return to the gardens. The people in the wheelchairs were surrounded by family and friends, lots of young parents were pushing prams, and a large number of very well behaved dogs on leashes enjoyed themselves. All were chatting, laughing and enjoying the atmosphere. The 12 drummers drumming summoned the participants to the starting post and at 11:00 am the walk began. The morning was sunny and everyone’s spirit were lifted on being involved in this walk. Only a few people were left to man some of the tables. The walkers were given water bottles on return and many bought a sausage in a bun or a treat from the cake stall. Families were relaxing in the sun and enjoying seeing the children being entertained by a pirate and listening to the music played by the band. The day was wrapped up by the draw of the raffle. All in all a most pleasant way to spend a Sunday and to raise awareness and money for Polio Australia and Polio WA. We are pleased that in our first year participating in a Walk With Me event we raised almost $1,200. We look forward to having you join us to do it all again in 2015. It’s not too late to donate to our 2014 campaign, however. Donations can still be made by going to the Polio Power – Rocky Bay, Western Australia fundraising page. In addition, there will be a second Walk in WA, held in Perth on 3 December, making another opportunity for you to help us – further details will be given here when available. All donations (which are tax deductible) are very gratefully received.